NA’s last hope at the All-Star Event stayed alive against the esports athlete of the year. Tonight’s biggest match in the League of Legends All-Star Event was the one-vs-one between Lee “Faker” Sang-hyeok and Søren “Bjergsen” Bjerg. It was the ultimate test of skill—the best in the East vs. the best in the West. Two of the greatest mid lane legends ever were out to prove their dominance. For Faker, it was a chance to finally take the one-vs-one crown, the only accolade missing from his chest of trophies. For Bjergsen, it was redemption as the last standing member of the North American squad. It was expected to be an extremely close match. It wasn’t. 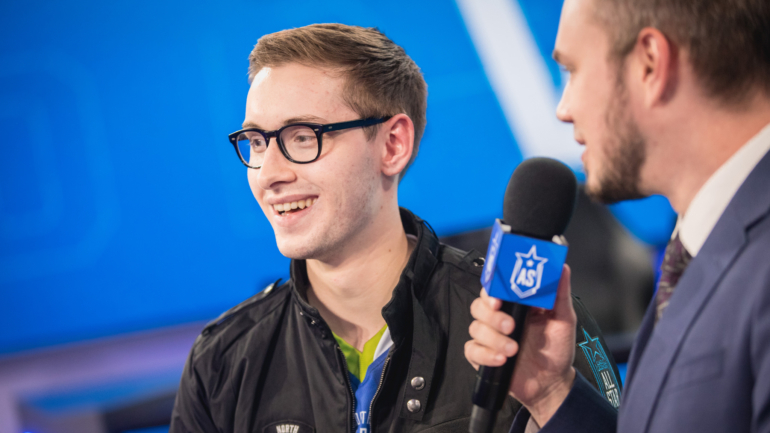 Bjergsen dominated to keep NA’s hopes alive. He took a great early-game champion in Taliyah and poked Faker’s Syndra out before the minions even arrived. Constant pressure meant that Bjergsen got to back early while Faker tried to farm under turret. It was the exact opposite of Faker’s first match, where he had minion control and accrued a CS lead. Bjergsen had the upper hand the entire time, forcing Faker to look for the miracle fight. One well-placed Syndra ultimate can melt anybody’s health bar. But at the end of the day, Faker just couldn’t get the AP he needed to one-shot Bjergsen. When the all-in came, the Dane had more than enough health to survive. For the second straight year, Faker has fallen in the early rounds of the one-vs-one. It may be the last thing he needs to work on. As for Bjergsen, the dream of recapturing the title remains alive. He forges on, the last remaining player from NA, carrying the hopes of a region on his shoulders.